Craig Evans will fight Roman Andreev in an eliminator for the WBO world lightweight title this Saturday. The fight takes place in Andreev’s homeland, Russia. The winner of the fight will face the winner of Raymundo Beltran vs Paulus Moses for the WBO world lightweight title. “To be honest, I hardly anything about this kid [Andreev]. I can’t really make an assessment. I know it sounds disgusting for a boxing pundit. But, I haven’t really had a chance to have a good look at him yet to do a proper assessment on him. “Craig’s a talented kid, he really is. 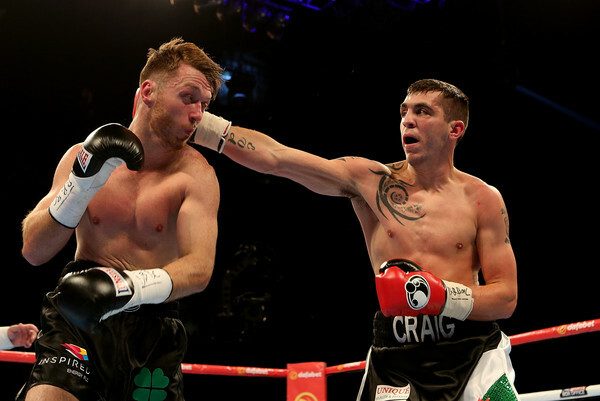 My worry with Craig is I think if he can make super-featherweight – that’s where he should be. He might have grown into lightweight now but I always thought he could be a more effective super- feather. Where, I think he could challenge for the world title. Evans should he win would face the winner of Raymundo Beltran and Paulus Moses. They fight for the vacant title in Reno, Nevada on February 16. “Beltran’s going to beat Moses, let’s be honest. And you fancy Beltran against Evans because of the experience and he’s a good fighter. He beat Ricky Burns and was unlucky there. So, you’d fancy Beltran over Evans if that fight would happen unless Evans shows something great in this fight now.